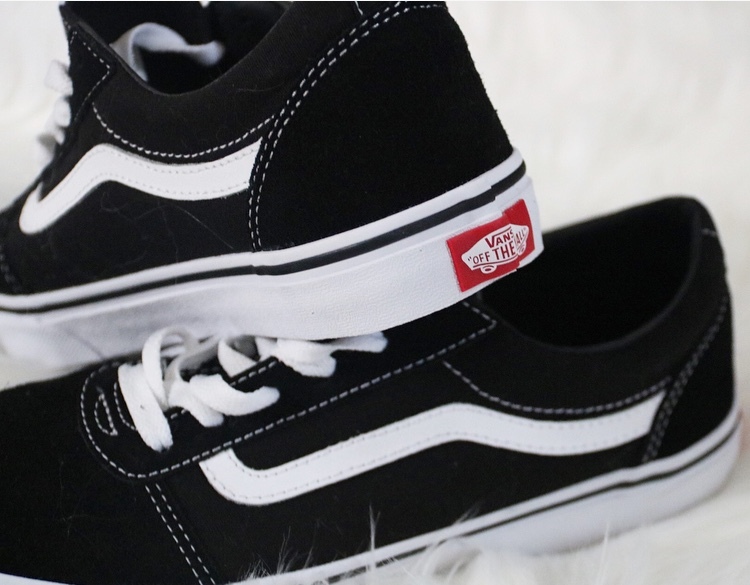 Last year Vans shoes made a huge comeback and they don’t seem to be going anywhere anytime soon. We’ve seen them being styled on just about every celebrity, especially in the classic black with white stripe. There are so many fun patterns and styles to choose from, but I thought I would still with a classic to add to my collection. One quick scroll through Instagram, or a quick search on Pinterest, you will see the many ways these versatile shoes can be worn. From joggers to ripped jeans and even summer dresses, you name it, these shoes can be rocked however you chose! They are quite similar to the Converse All-Stars which we know had their comeback a few years ago and have stuck. I have a few Converse in my collection, although find that they are not always the most comfortable for long wear. 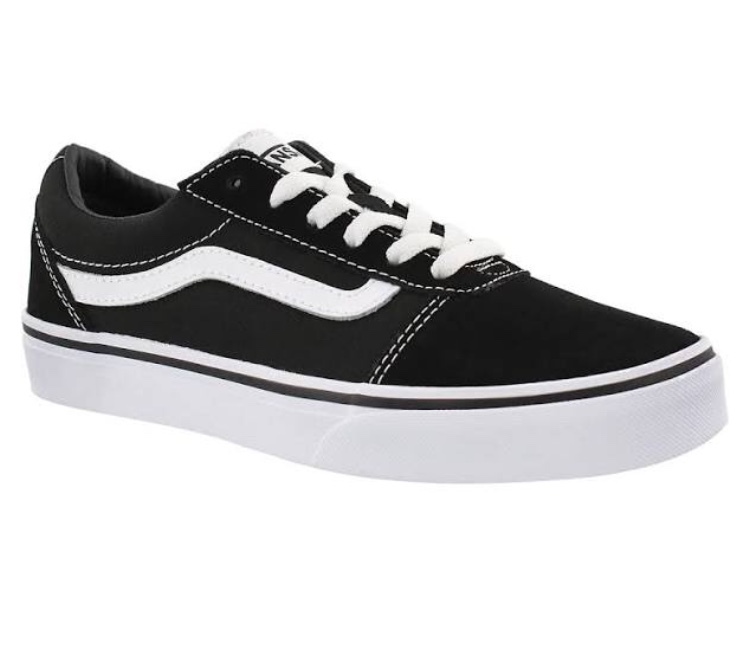 The Vans seems to have a little more material to them, and a little more cushion inside the actually sole of the shoe. Both are considered “skateboarding shoes” but don’t let that scare you away. I went with the classic black and white stripe as I figured they would match with just about anything. I had tried them on at a couple of stores since I wasn’t sure of my size and sometimes these style of shoes run differently than what you are typically used to. 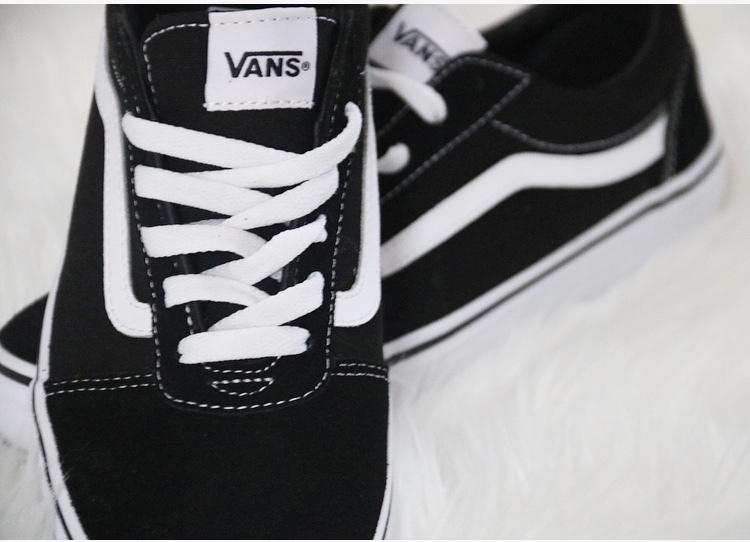 I wasn’t surprised by the $90.00 price tag that these shoes carry, and unfortunately they are just one of those styles that don’t really go on sale, much like Converse, unless you went for a different pattern or not so typical colour. It was then that my “Staffordable Savings” brained turned on. I had searched online to see where the shoes were available, and to see if the prices varied among them at all. Not to my surprise at all, they all ran about the same price-tag. I then began looking at the kids section, if you are lucky enough to fit into kid’s sizes you will be so surprised at how much money you can save on shoes! My size runs anywhere from about an 8 to an 8.5 depending on the fit and style. I went to a store to try on a kid’s size first, before ultimately placing an order online. 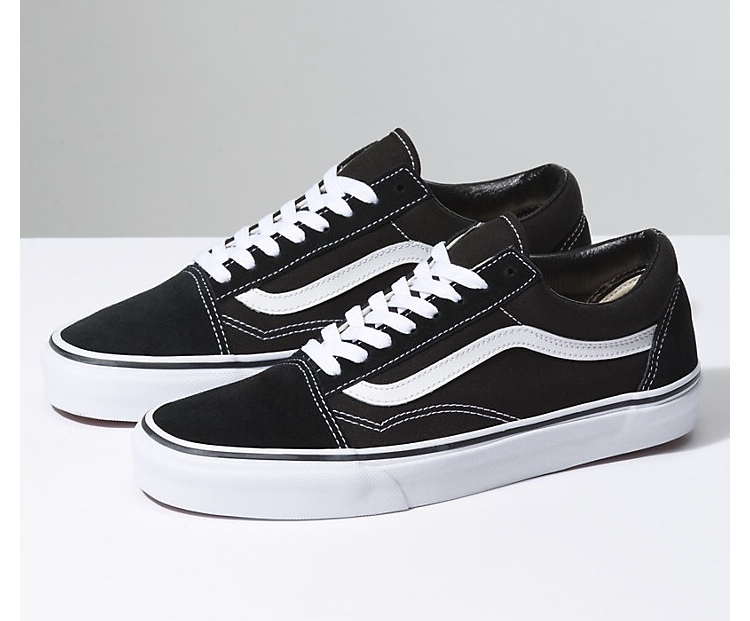 Now while mine differ a little bit from the classic Van’s Oldskool which are what I was initially looking for, the Van’s Ward look so similar, the difference is ever so slight. Women’s sizing runs typically 1.5 sizes larger than a youth size. Since I typically wear an 8-8.5 I went with a kid’s size 6 and they fit perfectly! Sometimes it pays (literally) to search around, browse for the best deals, and look for coupons and other promo codes that can be applied at checkout!